The science and practice of martial arts are based to some degree on the science of traditional Chinese medicine (TCM). This is evident in the fact that TCM focuses on how our body is a miniature inner universe. When we know and understand this inner universe, we begin to know the greater, outer universe and see how both function the same. Martial arts make use of this idea through movement methods that are supposed to open up the meridian channels of the body. This allows qi to flow freely, so that the mind and body are in harmony with the effortlessness of the heavens. This experiential knowledge attained by martial artists is supposed to transfer over into daily life, as it did with Thor Heyerdahl. Trust, then, is at the heart of martial arts, as they are based on the fundamental Taoist philosophy of wu-wei. The problem with martial arts is, as I have mentioned, that they have been infected with the cultural tendency toward doing, which becomes an intellectual game of striving for a so-called goal. Our whole world is invested in the energy of yang at the expense of yin. Our modern habits of doing, control, and force are deeply entrenched in both spiritually oriented and combat-oriented martial arts. And yet the core of both methods is the same, as martial arts are about transforming your character to reveal your true nature. This is the spiritual heart of martial arts, but it has been misinterpreted by Westerners and also by numerous people in the East. Many people think that the spiritual transformation in martial arts is about attaining powers or experiencing some altered state of consciousness similar to a psychedelic experience. This way of thinking is the “amateur spirituality” to which Chuang-tzu alluded. Amateur spirituality is the attraction to peacock consciousness, meaning that people still have the yang habit of showing off or telling other people about how peaceful and lucid their state of mind is. The irony of peacock consciousness is you find these people always talking about themselves, to the point where the listener feels ill and exhausted. This is especially true for those people trying to attain supernatural powers, called siddhis in Sanskrit. Such proclamations prove that no real transformation has occurred. All that has occurred is that one has become a well-trained show pony. This show-pony attitude is yang-oriented and has nothing to do with the basis of martial arts. As a result martial arts in the modern world are based on the perpetual activity of yang and failing to embrace the nondoing of yin. We discover this yang-over-yin temperament in the sport of mixed martial arts (MMA), which is best-known through the organization of the Ultimate Fighting Championship (UFC). The athletes of MMA are well-trained; many of them function at a rate of peak performance, which can be quite a spectacle to watch. But the problem is that many mixed martial artists and spectators believe martial arts are about talking trash and beating the hell out of the opponent. Though this may be entertaining for the spectator, we should not delude ourselves into thinking this has anything to do with martial arts. Rather it is just martial arts on steroids, polluted with the idea of yang over yin, doing over nondoing. This attitude inclines one toward competition because of its innate characteristics of force and control. If mixed martial artists, or any combat sport athletes, for that matter, were serious about martial arts, they would need to understand and embrace the essential tenet of cooperation. Cooperation in martial arts is evident in the internal practice of pushing hands, known as tui shou in Chinese. In the practice of pushing hands, each person is feeling and moving according to the energy of the opposing person. Pushing hands works to undo our natural instinct to resist force with force by teaching the body to yield to force and redirect it. Force does not exist in this practice, because in feeling and moving according to the energy of the other person, we are accessing our receptive yin nature. Yin evokes the art of cooperation. Although it may appear that pushing hands is a form of competition, it instead is a dance, as you essentially need two to tango. 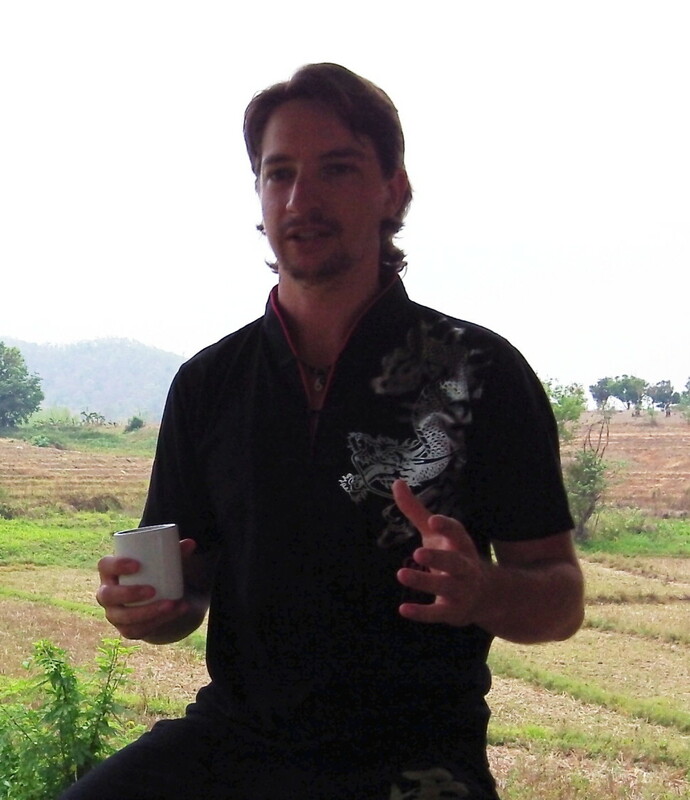 Even so, pushing hands, like many other aspects of martial arts, has succumbed to the tendency toward the yang characteristics of competition and peacock consciousness. In both spiritually oriented and combat-oriented martial arts and MMA, the yin art of cooperation is at the core of all forms of cultivation. For example, if a mixed martial artist is trained properly, he or she will know that there is no opponent other than himself or herself. You are essentially testing yourself against your so-called opponent. The only opponent is yourself, and your perceived opponent is a mirror of where you are in your training. The mirror of the opponent reflects back to you your spiritual development as well as aspects of your character that have not been transformed or cleansed out of your psyche. So no matter what form of martial arts we are talking about—including MMA—the essential heart of the art is to blunt your sharpness. Blunting the sharpness is a phrase used by Lao-tzu in the Tao Te Ching to describe the softening of one’s rigid personality. In martial arts, it is about evoking the yin qualities of humility, compassion, forgiveness, respect, and honor. 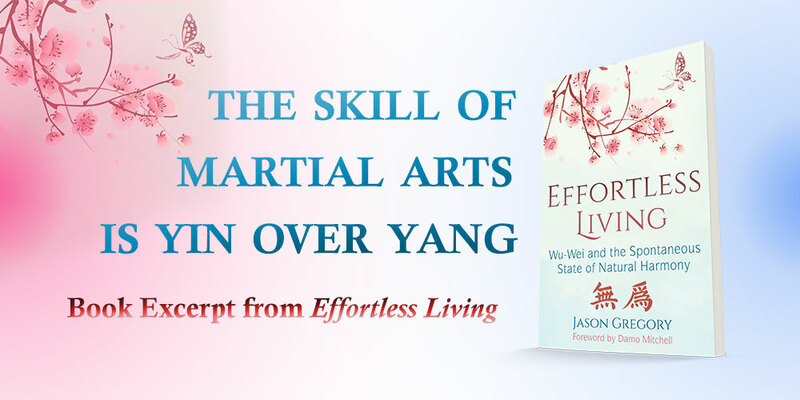 For thousands of years, martial arts have been mistakenly seen as practices to cultivate the yang, masculine characteristics of power, force, and control. This incorrect perspective has only increased our tendencies toward competition and trying to stand out in the crowd. Martial arts are not based on yang over yin but on yin over yang. They are a practice that mimics life, as the majority of the time we are in the yin of nondoing. When those brief moments of time come for us to act, we are precise and our timing is impeccable. The meaning of this verse is that those who say they know Brahman still have a concept or object of knowledge in their mind. Since Brahman transcends the mind and our thinking, no concept can capture it, and so we cannot say we really know it. The academics and intellectuals who believe they can explain the universe and its mystery by somehow coming to logical conclusions are deluded. They have lost their intrinsic sense of awe and cannot witness beauty without analyzing it. Many people in the world are in the yang habit of using their intellect as a scalpel to dissect life into pieces so as to analyze the details. Many of us who underwent a formal education had the chance in science class to dissect an animal, usually a frog or toad. When we dissect a frog, it becomes a mess. When our dissection is finished, though we can describe the frog’s internal organs, we have lost sight of its beauty. In dissecting the frog, we pulled it apart into discrete pieces, destroying its inclusive totality. When we dissect life, we destroy it. This is occurring right now, as our world is embracing yang over yin, which is against nature’s way. 1. Lao-tzu, Tao Te Ching, chapter 28. 2. Lao-tzu, Tao Te Ching, chapter 1. 3.Quoted in Columbus and Rice, Alan Watts, 52–53. Hi Jason!! I found this article very interesting. Thanks!! I always learn some new through out your teaching. I’m thinking to send this article to my son Andres who has a black belt in karate. I’m sure that this teaching is going to widen his perspective of martial arts. THANKS Jason!! That would be awesome Jorge. I believe your son will learn a lot from this excerpt. The spiritual core of martial arts is not often fathomed in combat-oriented martial arts. It is imperative to understand as it will help all forms of martial arts. Thank you Jorge.